But then people try these so-called miracle cures and are unfortunately disappointed in their results. Why is that? I know there must be good supplements out on the shelves of health food stores because stores keep selling them, and people do get results. I’m trained in, and only use products in the professional supplement lines (meaning a doctor’s license is required to order and dispence them) because I can guarantee their quality and efficacy to my patients. When you buy your supplements over the counter (as in Trader Joe’s, Costco, CVS, Target, etc) you really have no idea what you’re getting. Studies have recently come out revealing that what is listed on the bottle isn’t actually what’s in the bottle for many of these supplements, so how can they be expected to perform? That being said, if you purchased a medication from the pharmacy and it turned out to be a placebo, would you really be surprised if it didn’t work? 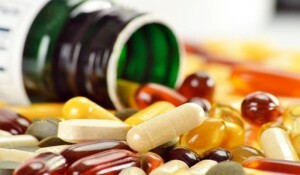 There are many reasons I would classify supplements as being of poor quality. I’ve detailed them in an article here, if you’d like more information. I’ve noticed a trend recently where people come in after having tried many different supplements, only to see their condition worsen or they experience no change at all. 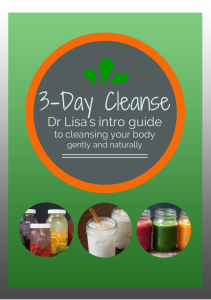 The first thing I do is ask them what they’re taking and 9 times out of 10, they are taking something that is doing the opposite of what their particular body’s biochemistry needs in order to heal. Wrong supplement = poor results. The other issue I find is that self-diagnosis can be a tricky thing. It’s always good to have a second set of eyes and ears on the case. We may think we have a particular condition, when in reality, we have something totally different, requiring a completely different nutritional protocol. A great example of this would be taking something for what you think is sinusitis when in reality, the issue is that your liver is toxic and that’s what’s causing your sinus congestion and sneezing attacks. There are just some issue, that no matter how you supplement, you will not see results because the lack of supplement isn’t the only missing factor. If you are insulin resistant, but you only take supplements and expect to see a dynamic result, you are simply fooling yourself. Situations like this require changes in eating habits and activity level, and THEN you will see the results that are truly possible when you add supplements to the mix. Healthy food is the foundation to any health regimen. Your body was designed to eat whole, natural food, the food that is grown on the earth, not the food-like-substances that are conveniently packaged into bags, boxes, cans and drive-throughs. Processed foods, genetically modified foods and pesticides are not exactly recognized by the body because they are not found in nature. You ingest them and your body thinks it’s just been poisoned. When you consistently pollute your body with these substances, you essentially create an unstable foundation. No amount of supplementation will ever fix that. As always, I like to give a disclaimer. These statements have not been evaluated by the Food and Drug Administration. This content is not intended to diagnose, treat, cure, or prevent any disease. These suggestions are not intended to replace medical care. And if you’d like to contact me for any reason, have questions, or would like to share your experiences with nutritional supplements, comment below.